Before I write this blog, let me just make one thing clear: I am not a music critic, nor do I want to be one. As an active musician, such a role could be, quite frankly, dangerous. So when I do write about the work of fellow musicians, my comments are not meant to assign a point system of quality or to point out my individual likes and dislikes, but rather to share discoveries which have grabbed my attention for their unique artistic value.When Marco Granados sent me his latest recording, Music of Venezuela, I was eager to hear what he had in store, as this is a project he has been working on for some time. I put the CD into my car stereo and was immediately greeted with the joyful and energetic sounds of Venezuelan music. 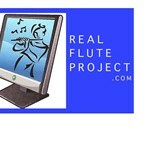 It reminded me of a magical moment from the National Flute Association Convention I attended in Chicago many years ago. One evening, a group of young flutists from the Venezuelan Flute Orchestra took over the grand staircase of the Chicago Hilton as if it were the Spanish Steps in Rome, and began an impromptu jam session. Before we knew it, the brilliant, spirited sounds of Venezuelan improvisation filled the hotel while NFA members, business travelers and tourists gathered around, sharing a magical moment. There is a youthful exhilaration in the upwardly articulated arpeggios of Venezuelan flute music which is frequently played at breakneck speed and in the upper register, and which Marco handles in songs like El Vuelo de la Mosca (Flight of the Fly) with controlled abandon, a dichotomy born of technical precision and improvisatory freedom. This is flute music on a double dose of caffeine, perfect for a morning commute. It is impossible not to be stimulated by the frantic turns of phrase which occur so quickly that it almost sounds as if the recording had been artificially sped up (I am quite sure it was not). After a few tracks of high energy super flute, I wondered about the softer side of Venezuelan flute music, and was greeted by one of my favorite songs on the CD, the sensitive Confesion a las Estrellas (Confession to the Stars). Thank you Marco, Jorge, Roberto, Leonardo (Un Mundo Ensemble) and guest artists for sharing this musical tradition with us. Watch the video below to see Un Mundo in concert.